Greg told us that photography, which started as a hobby, has taken over his life. “We are besotted with the autumn landscape that is Scotland and the hospitality of the people we have met in our travels. We have drunk the water and the whisky, and grown to love 'all that is Scotland'". Greg continued "For our month in Scotland we feel blessed that the weather was photographically so good, fine some days, cool & cloudy on others, but always atmospheric, with exceptional light." One of Greg's photos from his previous trip in 2014 has done extremely well in the prestigious Australian Institute Professional Photographic Awards and is to be included in the Australian Institute Fine Art Year Book for 2015. The winning image (shown here) was taken looking back along Loch Leven, from Kinlochleven. It makes us realise we are so lucky to live here with this beautiful scenery on our doorstep. We look forward to seeing the fruits of Greg's 2015 stay at The Pierhouse which Greg describes as "My main focus for this trip from our “Pierhouse home” was the opportunity to recapture Stalker Castle, both in pre-sunrise & post sunset light. The images I am really pleased with, but as yet have not approached any edit of the raw files. I think I will mature them a little longer on the hard drive, then decide if monochrome or a minimal colour gamut best captures the mood." If you wish to be as inspired by Greg's photography as we are, take a look at his website gregoryhanlon.com....and check back to our Blog for more of Greg's wonderful photos. 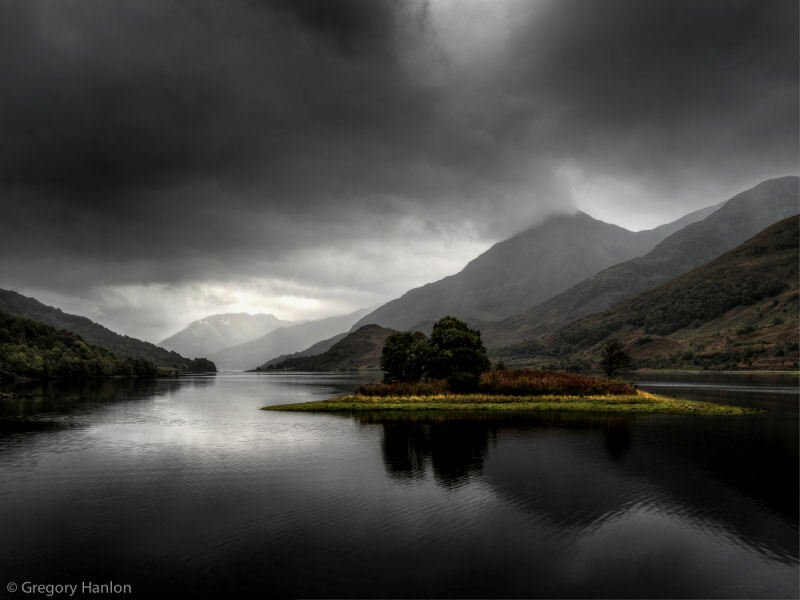 Congratulations to Pierhouse guest Greg Hanlon whose stunning image of nearby Loch Leven will feature in the Australian Institute Fine Art Year Book for 2015. Photos shown with kind permission of Greg Hanlon, gregoryhanlon.com.